FRANKFURT (Reuters) -- German supplier Schaeffler says a 34 percent stake in rival Continental has been shifted off the books, in a step that simplifies the shareholder structure ahead of a possible stock market listing. A spokesman for Schaeffler said on Tuesday that the Continental stake, amassed during a takeover attempt in 2008, was shifted to another company controlled by the Schaeffler family at the end of last year. Schaeffler, which makes industrial ball bearings, borrowed 16 billion euros ($18.5 billion) to buy Continental in 2008, in a deal that unraveled during the financial crisis. The deal had to be partially unwound and Schaeffler has been restructuring its debt ever since. 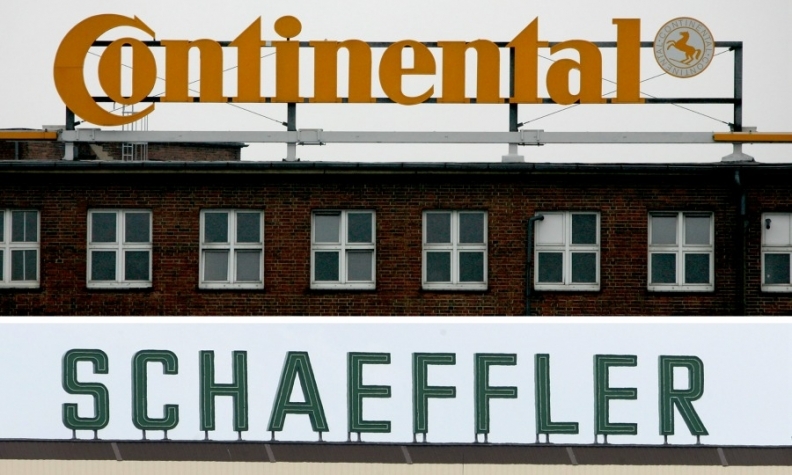 Schaeffler still owns a 46 percent stake in Continental, reducing its stake from around 90 percent at the height of the takeover battle. Schaeffler has said it may explore a stock market listing as one of many options. A spokesman for the company said on Tuesday there was "no pressure" to decide on whether to pursue a listing.